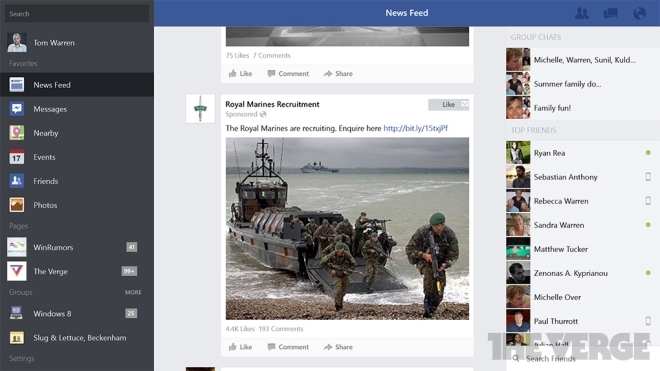 A few days ago, Facebook announced their new mobile app called Paper. Paper combines your regular Facebook feed along with news from different sources in a radical new design that is a complete departure from anything Facebook has ever made. The app is now available for download for free on the iPhone in the US. 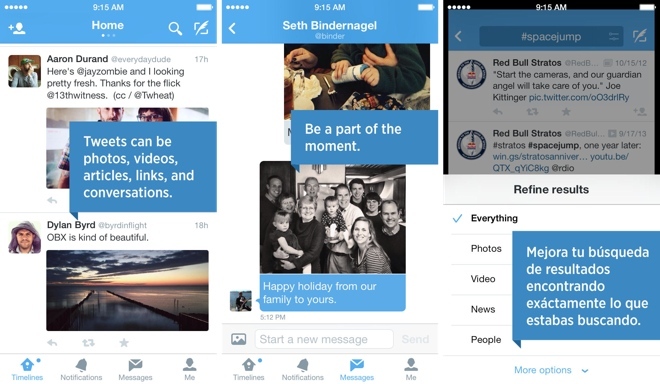 Twitter has completely revamped its web interface to bring it closer to the look and feel of its iOS and Android applications. 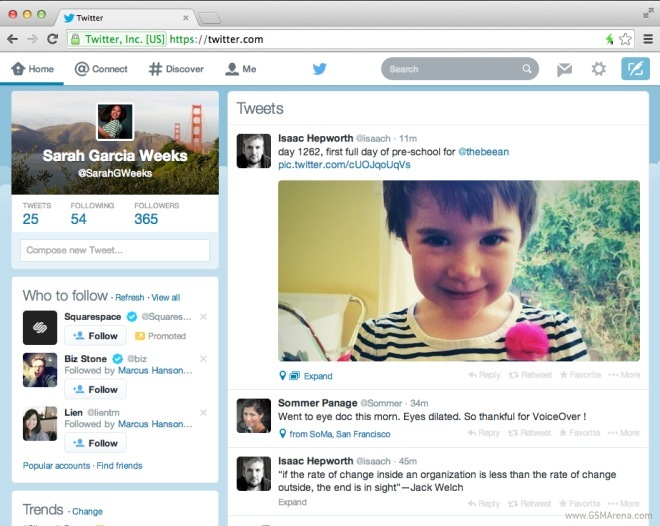 The new design comes with a cool new white navigation bar at the top, replacing the dark hue. CEO of Branch, Josh Miller, has announced that the service has been bought out by Facebook. As part of the deal, Facebook will also acquire Potluck, a similar service. If you’re not familiar with Branch or Potluck, they’re link-sharing services that allow friends to share news stories and internet articles, and have conversations about said stories. 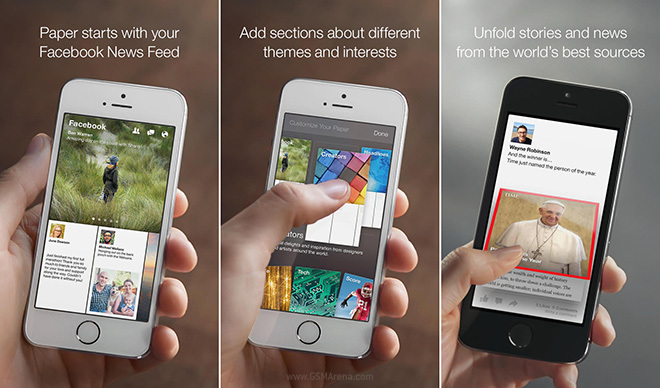 This news-centric app’s intention was to move discussions away from Facebook and email and allow users an easier, more “feed-like” way to talk about the links they’re sharing. 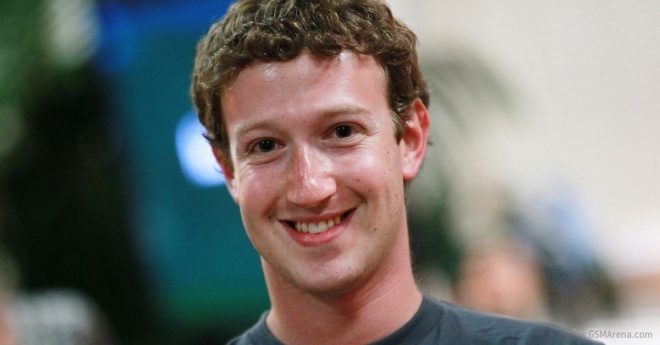 Mark Zuckerberg, the CEO of Facebook is said to be selling some of his Facebook shares to raise about $2.31 billion. 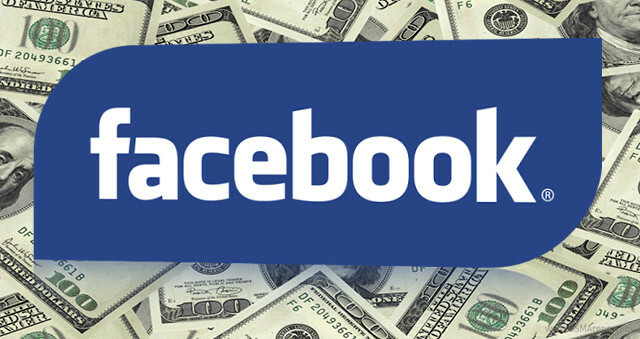 The founder of the popular social network will sell about 41.4 million ‘Class A’ shares and utilize the money to fund a tax bill. 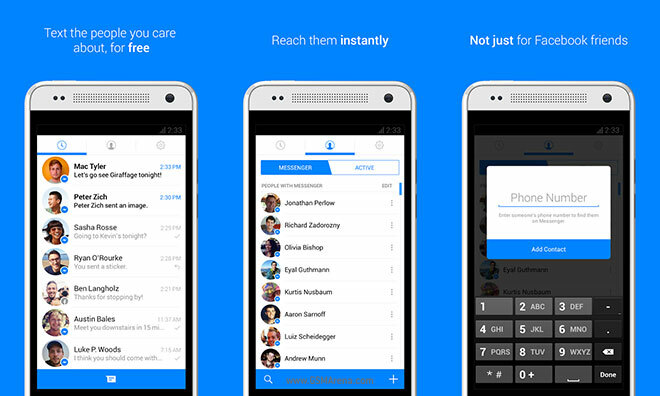 Facebook has introduced a new set of stickers for the Facebook Messenger service. 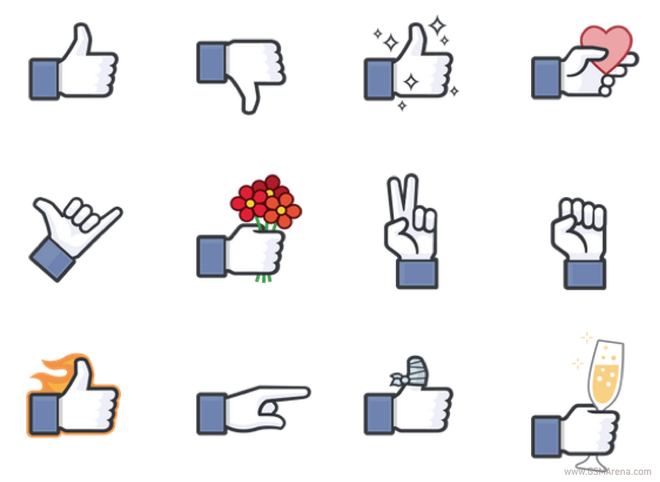 These are all variations of the famous Facebook Like icon showing a thumbs up gesture, with the hand showing other gestures, including a much requested thumbs down or Dislike gesture that Facebook would probably never implement on their site. So you can’t yet Dislike a post but now you can at least send them a sticker on Messenger. Twitter has rolled out version 6.0 update for its iOS and Android mobile applications, which bring with it some big new changes. The most obvious one is the redesign on both versions, unique to their platform. The iPhone version gets a new white themed bar at the bottom unlike the black on the previous version. 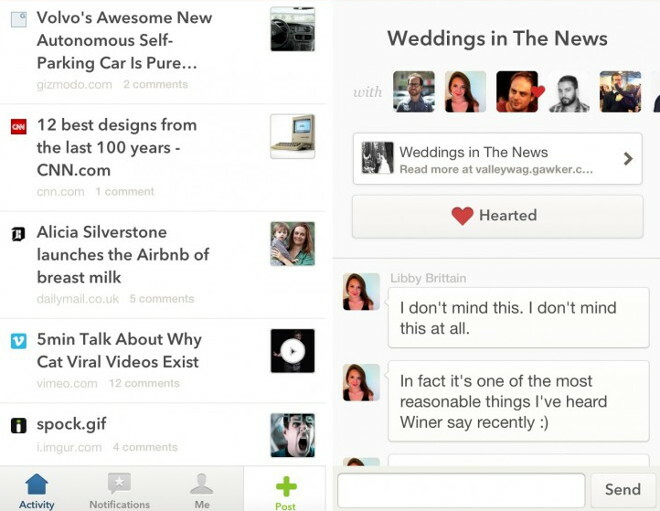 The ‘Connect’ tab has been replaced with ‘Notifications’ (essentially the same thing) and ‘Discover’ tab has been replaced by ‘Messages’. 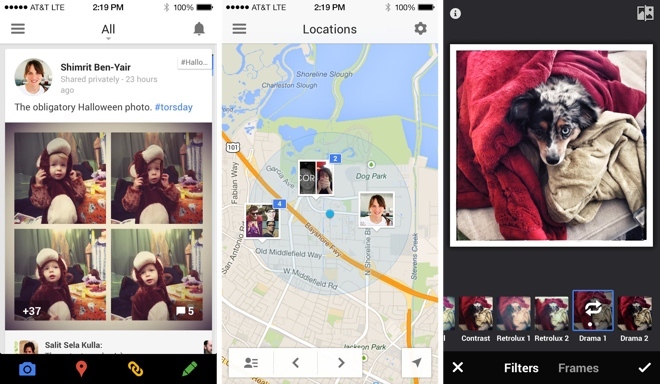 Google has released an update for the Google+ app on iOS that brings a useful new feature for those who take a lot of photos and also happen to use Google+. The latest update now allows you to upload full resolution images and videos to your account without any compression or resizing. This feature is only available to those running on iOS 7. Facebook has released an update to the Facebook Messenger app for iOS and Android that brings with it a complete overhaul of the UI. 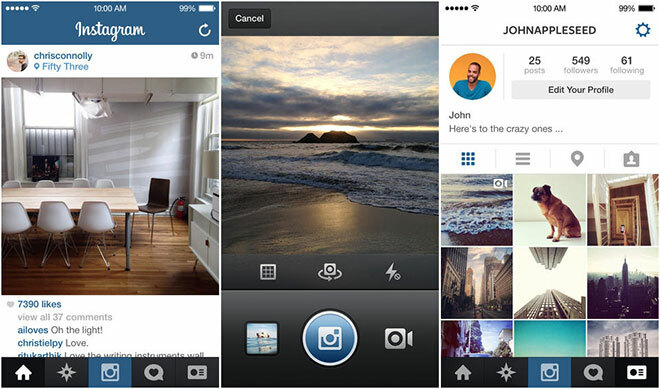 The design clearly looks like it was made for the new iOS 7 but carries over to the Android version as well. At yesterday’s Google event, the company announced a slew of new features for their Google+ social networking service, along with the Hangouts messaging service. 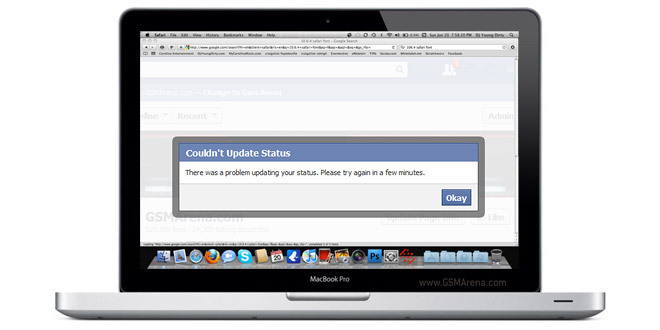 Something is rotten in the state of Facebook – posting a new status, writing on someone’s wall or using Facebook’s payment system have been out of order since earlier today. And what are people to do about it other than complain on Twitter? 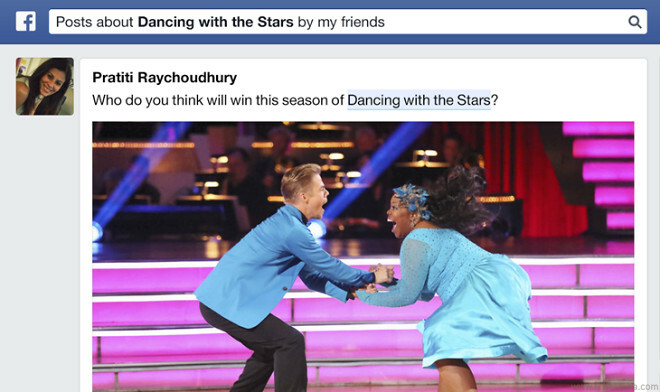 Facebook’s personalized Graph Search has been updated to include statuses and posts by people sharing with you. 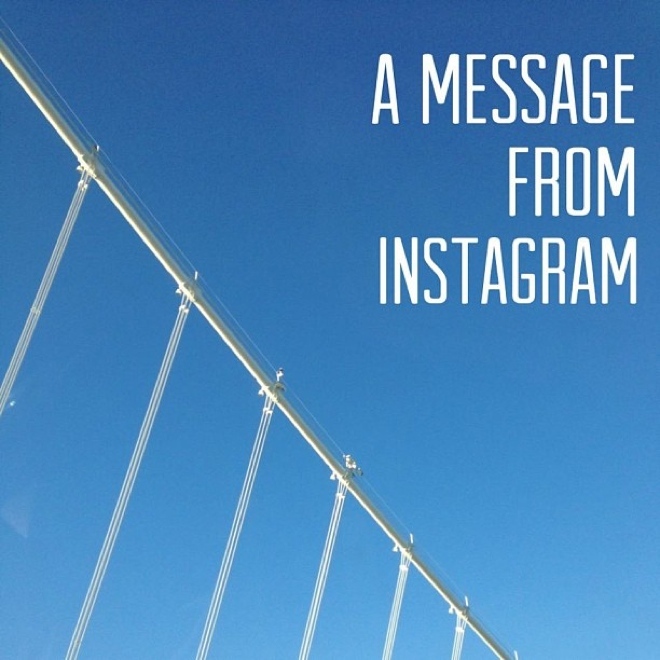 Instagram has released a new update for the iPhone version of their app, which has been redesigned to go with the new iOS 7 update that started rolling out last week.